Hearings on endocrine disrupting chemicals - problems and solutions. 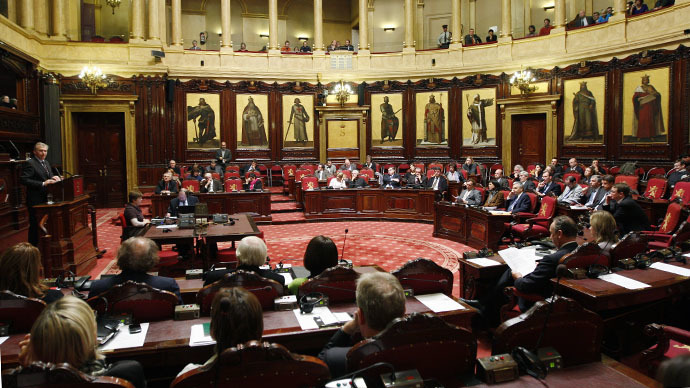 In request for a collaboration among the Federal authority, the Communities and the Regions of Belgium to prepare an informative report on the prevention and elimination of endocrine disrupters in consumer products, the institutional affairs of the Belgian Senate is organising a conference and has invited key speakers from civil society organisations and university to present their work on endocrine disruptors. Rapporteurs: Mrs Cindy Franssen, Mr Patrick Prévot, Mrs Anne Barzin, Mrs Cécile Thibaut and Mr Véronique Waroux and Mr Bart Van Malderen. - Fédération Inter-Environnement Wallonie (IEW): Ms Valérie Xhonneux, expert on Health-Environment and Product Policy.